Paul Shaw is widely known and respected as a guide to urban lettering.With Garrett Boge he co-founded and led the original Legacy of Letters tours of Rome, Florence and Tuscany from 1997 to 2000. On his own he has led regular walking tours of lettering in New York City since 2005 for the Type Directors Club and other organizations. He has also led similar tours of Boston, Buffalo, Atlanta and Los Angeles for SoTA (the Society of Typographic Aficionados). He has been a calligrapher for over 40 years and has designed 18 typefaces, most of them for LetterPerfect. 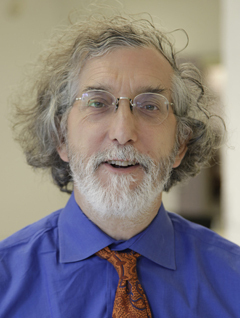 Paul is the principal of Paul Shaw / Letter Design and teaches calligraphy at Parsons School of Design and the history of typography at the School of Visual Arts. In 2002 he was a Fellow at the American Academy in Rome. He has written about calligraphy, lettering and type for Letter Arts Review, Print, Eye,Baseline, AIGA Voice and other magazines as well as his own slow blog called Blue Pencil. Paul is the author of Helvetica and the New York City Subway System: The True (Maybe) Story. He is currently the editor of Codex, the journal of letterforms, which, like Legacy of Letters, explores all forms of lettermaking, manual or mechanical, high or low. 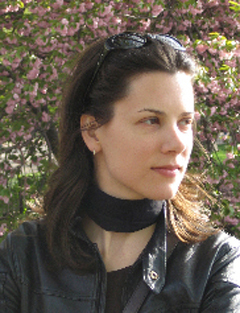 Alta Price runs an editorial consulting and translating business specialized in art and architecture texts. She has translated texts on subjects ranging from Caravaggio to contemporary sculpture, Egypto-Armenian photography, and the vertiginous nature of list-making. Fluent in Italian and well- versed in German, Spanish, and French, she has also acted as coordinator for international art-related congresses. Alta became enamored of epigraphy, paleography, and lettering of all sorts while living in Rome. She holds a BFA in Printmaking and Art History from the Rhode Island School of Design and an MFA in Combined Media from Hunter College. Her artistic practice ranges from paper and watermark-making to collage, stop-motion animation, and book objects. She is currently based in Long Island City, and occasionally joins Paul to explore some of the more oddly lettered corners of New York City. She is the editorial assistant for Codex, a journal of letterforms, and a guest columnist for the website 3 Quarks Daily. 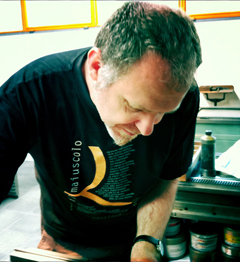 Lucio Passerini has been part of the Legacy of Letters team since 2010 as its master printer at the Tipoteca. He has been a printmaker in Milan since 1974 and a letterpress printer since 1982. He has dedicated himself to making small, limited edition books devoted to typography and art. They are published under the name Il Buon Tempo. His prints, principally woodcuts and linocuts, have been included in numerous international exhibitions. Lucio is the author of Xilografia, i materiali, le tecniche, la storia della stampa a rilievo. 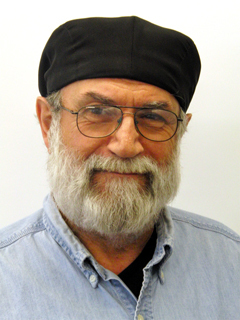 He has been a speaker and module leader twice at the Hamilton Wayzgoose, held annually at the Hamilton Wood Type Museum. Tony Di Spigna is a lettering artist, typographics designer and design educator. For many years he was a partner in Herb Lubalin & Associates where he worked on all aspects of visual communication and graphic design. He has achieved international recognition for his letterform and typographic designs including the design of exclusive corporate typefaces and logos. Tony’s work has won numerous awards. In 2007, he was honored with a one-man show of his personal work in Italy that exhibited a range of his artistic abilities from graphic art to fine art. He has taught at The School of Visual Arts and continues to teach at Pratt Institute and The New York Institute of Technology. A book showcasing his Spencerian lettering is in progress; sample pages from it can be seen in Codex 2. 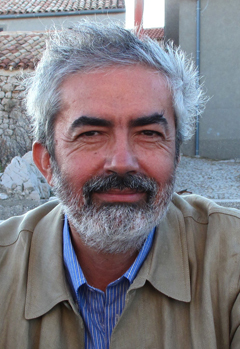 Sandro Berra is the coordinator of the Tipoteca Italiana Fondazione since 2001. He studied Ancient Greek and Latin literature at the University of Padua before embarking on a career in editorial design. He has been the coordinator of the Tipoteca, a private foundation created to preserve and foster the arts of letterpress printing and handset typography, since 2001. He edited A story of character: ten years of Tipoteca Italiana and is co-editor of the journal Tipoitalia. Sandro lives in the province of Treviso in the Veneto where he is able to enjoy his deep love of ﬁne food and good wine.